Jo Ann Fabrics is a fabric and craft retail chain. They sell a wide assortment of fabrics and specialty needs for sewing and fabric crafts, but also focus on any basic crafting needs. Their stores also offer a specialized section to cut fabric according to your specifications. 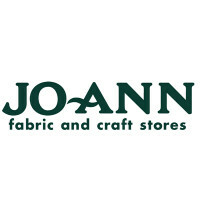 For more information on the Jo Ann Fabric application, follow the link below. Founded in 1943 by Hilda and Berthold Reich and Sigmund and Mathilda Rohrbach in Cleveland, Ohio, it was originally a cheese store that also later sold fabric. The fabric sales were successful, allowing them to open a second store. They soon discontinued selling cheeses and sold fabric under the name Cleveland Fabric Store. When the store expanded further in 1969, the store became Jo-Ann Fabrics. This company is headquartered out of Hudson, Ohio. There are over 750 locations across 49 states; the only state without a store is Hawaii. They also have a website to purchase items from their catalog and ship to all of the United States. Their stores have also crafting classes to help teach knitting, quilting, scrapbooking, painting and many other crafting subjects. Jo Ann Fabrics is looking for employees that have a passion for arts and crafts. They also want employees that have amazing interpersonal skills in order to provide a positive customer service experience. Jo Ann Fabrics offers a loyal company with great benefits and rewards for loyal and hardworking employees. If this sounds like a company that you want to be a part of, apply today. This is a company that offers advancement opportunities in both their corporate office and the retail level. The retail store offers entry-level positions so that a person can get their foot in the door and turn their job into a Jo Ann Fabric career. Some positions include team member, lead team member and store manager. The corporate office is a great place to find opportunities that may be better suited for you than the retail store, if you have a strong desire to work at this company. The corporate office can often offer more perks than retail positions. Some corporate office positions include buyer, inventory control clerk, and human resources. You will have to carefully read the job descriptions to know if you are qualified for working at this company. Some positions may require more education and experience than others. How old do you have to be to work at Jo Ann Fabrics? The minimum age of employment is 18 years of age. Jo Ann Fabrics offers competitive benefits for the retail industry. Employee eligibility for benefits can depend on hours worked weekly and job title. Some benefits include health insurance, dental and vision plans. They may also receive paid time off, 401(k) plans, and flexible spending accounts. Other benefits include tuition reimbursement, life insurance, long-term and short-term disability insurance. The hours of operation can vary depending on location and holidays. During the busy holiday season, hours may be extended to accommodate holiday shopping. For more information, you can contact your local store for details. In general, hours of operation are Monday through Saturday from 9:00am to 9:00pm and Sunday from 12:00pm to 6:00pm. Team Member- A team member has many responsibilities. A team member is responsible for assisting customers out on the store floor. They may also invite customers to attend one of the many classes that they offer. They will also handle customer transactions at the cash register. They will also assist at the fabric cutting counter. A team member may earn around $8 per hour. Team Leader- A team leader is responsible for all of the same duties as a team member including assisting customers on the store floor and handling customer transactions at the register. They will also train new employees and handle managerial duties when no other manager is in store. A team leader may earn around $9 per hour. Stocker- A stocker is responsible for keeping track of the store’s inventory. They will stock shelves and handle pricing as needed. They will also ensure that the back room is neat and organized at all times to ensure that the products can be easily accessed as needed. They will also handle incoming and outgoing shipments to the store. A stocker may earn around $8 per hour. Store Manager- A store manager is responsible for handling customer issues and the daily operations of their store. They will handle the entire hiring process for the store and will ensure the store meets the sales goals set forth by the district manager. A store manager may earn around $56,000 a year. These are some questions that you may be asked during your Jo Ann Fabrics job interview. Why do you want to work at Jo Ann Fabrics? The interviewer is looking for someone who is serious about working at this company. The interviewer wants to know why you hired for the job and hopes that it is more than just because they were hiring. Answer honestly, discussing why you chose to apply here. Why should we choose you over the other applicants? On paper, you may seem like every other client that they are interviewing. They want someone who will stand out from the crowd. Describe what your strengths are and why you are the best fit for this company. Have you ever gone above and beyond for a customer? The interviewer is trying to evaluate your customer service skills and experience. Answer honestly, mentioning any time you have gone above your duties to assist a customer to ensure that they left the store happy. Is teamwork important to accomplish a goal? This company uses the term “team member” for their main staff, and this shows the importance of employees coming together to make the business run successfully. Discuss any time that you needed to work as part of a team to accomplish a goal and why it was important for success. Do you enjoy crafts? As this is a craft store, the interviewer is looking to see if you enjoy any crafting activities. Be honest, and answer any crafts that you enjoy doing. If you want information on how to apply at Jo Ann Fabrics, you are able to fill out an application form directly online by visiting Jo Ann Fabrics jobs online. You may also fill out an application form at your local store. The website does not have downloadable applications or printable applications. The easiest way to apply is to apply directly online. The company website does have the job descriptions and responsibilities so that people can find available positions that they are qualified for. If you apply for a position that you are not qualified for, your application may not be taken seriously. It is a great idea to submit an application along with your application. This company is often very quick in getting back to applicants. If a long time has passed since applying, you can call the location that you applied at to check your application status and to see if they are even still hiring for that position. This can help prove your interest in working here, and look good for you during your interview. Preparing for your interview could be the difference between getting the job and not. You can prepare by asking yourself interview questions in front of a mirror. This will help you get rid of any nerves and let you have a better composure when going into your interview. Dressing in a professional manner is also important and shows that you are serious about the job. Halloween City: See this page for jobs at Halloween City. Vera Bradley: Vera Bradley offers opportunities for both, beginners and experienced roles. Yankee Candle Company: For career opportunities, fill out the Yankee Candle Company online application. Body Shop: See this page for jobs at Body Shop. Babies “R” Us: Checkout the application page for work at Babies “R” Us.